I don't know about you, but I've got a case of the winter blues. I've been craving sunshine, sea and sand ever since the holidays came to a close. 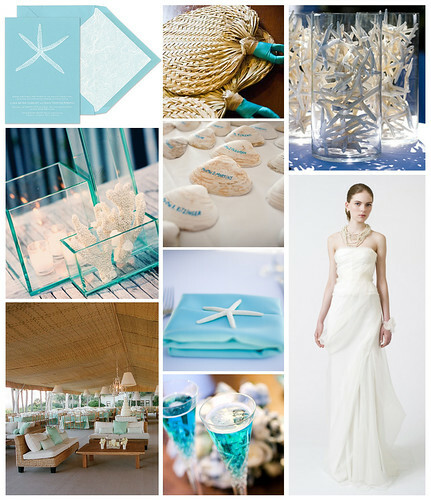 With that being said, I put together an image board for a wedding inspired by sea and starfish, warm breezes and sandy feet. This look is perfect for newly engaged couples that are planning a late summer wedding.